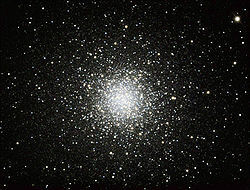 NGC 2419 is a large, intrinsically bright globular cluster, comparable to Omega Centauri. But its great distance makes NGC 2419 rather faint and small, at magnitude 10.4 and less than 4 arc min across. It is somewhat challenging to see in urban skies, harder than its official magnitude suggests. In my experience you’ll need at least a 6 inch (150 mm) aperture and great transparency to see NGC 2419 under light polluted skies. If the transparency isn’t very good or if NGC 2419 isn’t close to zenith, it can be hard to see even in my 10 inch Dob. But seeing this unusual globular cluster is worth the effort and here is some information for you if want to take up the challenge. 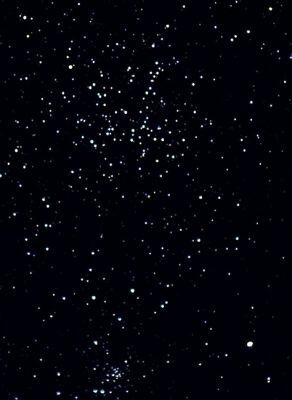 M35 and M38 are two beautiful open clusters that are well positioned for observing during the winter months. 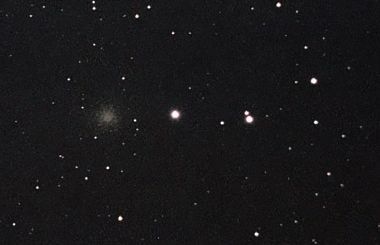 M35 is located in western Gemini, just a few degrees north and west of η Geminorum. It is a big cluster spread across an area nearly the size of the full moon. At magnitude 5.3 overall, and with nearly a hundred stars of 7th through 11th magnitude, M35 is an easy target even in heavily light polluted skies. Smaller and fainter at magnitude 7.5 overall, M38 is also a beautiful object. 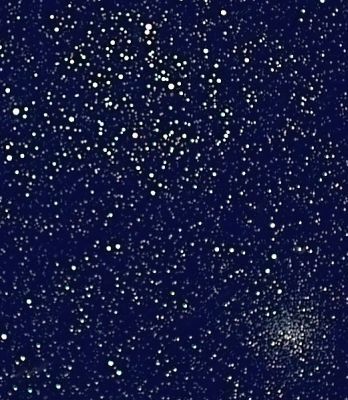 It consists of about a hundred stars, with the brightest ones forming a very distinctive letter “π” that is clearly visible even with small telescopes (you can see the “π” upside down in the photo to the right). 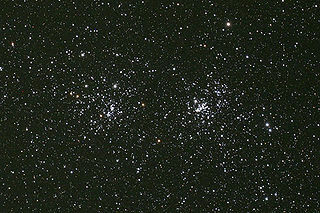 Photos of M38 (upper, with NGC 1907 at the bottom edge) and M35 (lower, with NGC 2158 at the bottom-right edge) courtesy of Land of Oz Observatory.